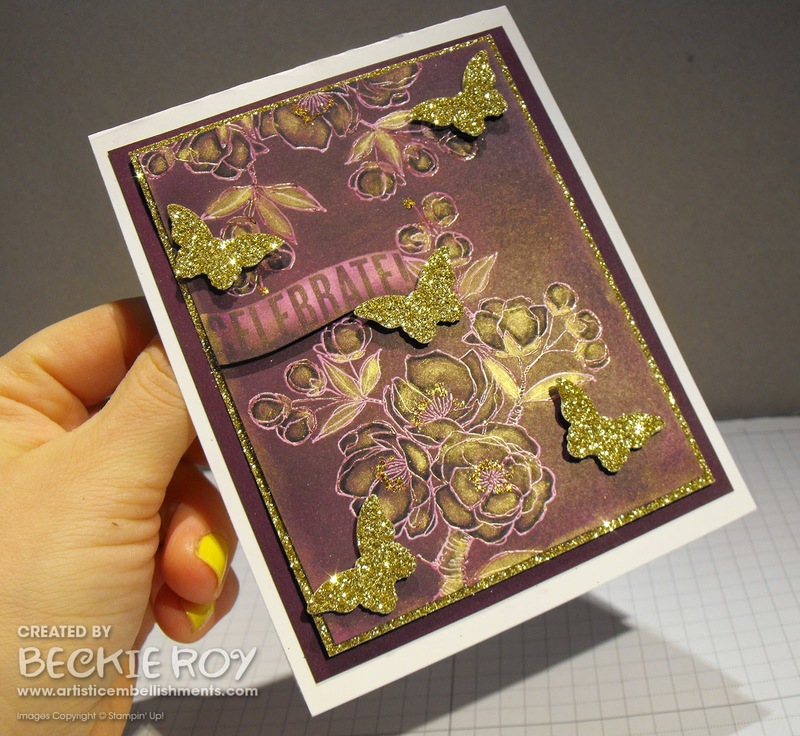 I used one of my well-loved stamped images, the blossom from the Indescribable Gift stamp set. This set really does get a lot of use, and in my book equals a great purchase... check! 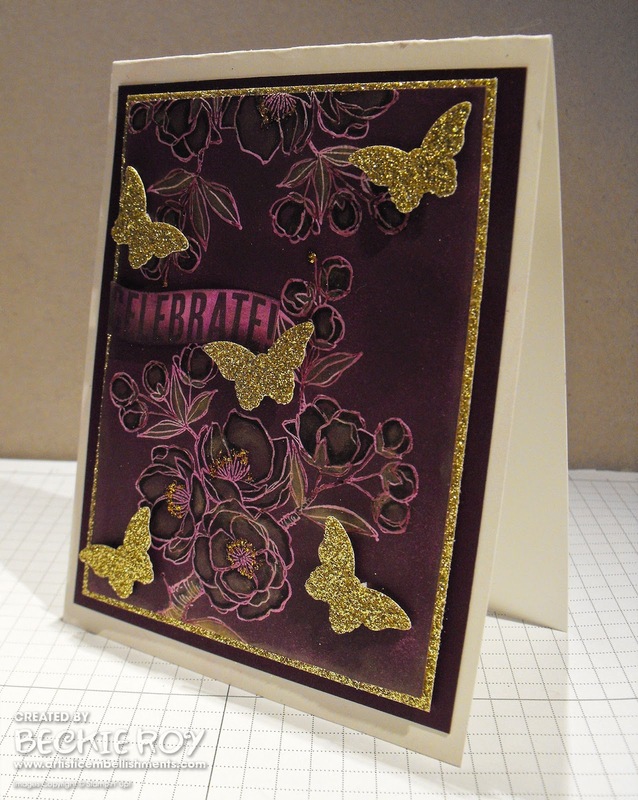 Using Versamark and White Embossing Powder, I heat embossed to have a raised effect to the image. I coloured the lines with my Rich Razzleberry Blendabilities Markers so the white didn't stand out too much. Then I decided to add some gold ink - using the Metallic Encore Gold Ink Pad, it gave a nice subtle look - but very shimmery and pretty. It was hard to tell from a direct on shot, so I tilted it so you can see what I mean. I decided to add a bit more shine with some pretty punched out Gold Glimmer Butterflies using the Itty Bitty Butterfly Punch. I hope you like my card and have a super day!